Let’s start at the beginning. If you are self-employed you actually run a business and you need to register with HMRC. 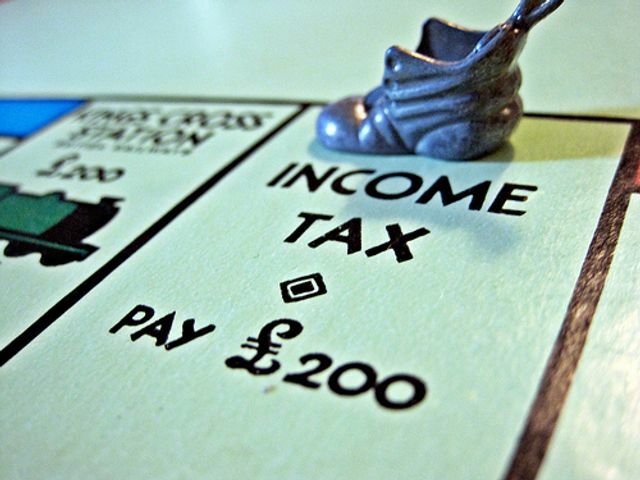 You'll have to submit a self-assessment to declare and pay tax on your profits. It is a good idea to get advice when you are preparing your self-assessment as there could be other beneficial deductions you may be able to make; for example, claiming an annual capital allowance in relation to machinery and equipment that you needed to buy for your business. As you may be aware, when you work for yourself you are a sole trader but there are also other options available for setting up your business for example as a limited company or being a partner in a partnership. If you want more information on the different options of business models, how it works and what protection on liabilities you may (or may not get), have a look at our free guide to getting you started in business and our free guide to other business models. If you run a limited company you will need to file a company tax return and pay corporation tax on your profits as a company. You must also pay corporation tax on profits if you are a club, co-operative or other unincorporated association, for example a community group or a sports club. You do not receive a bill for the corporation tax as you need to work out the amount and reflect that in your information to HMRC. What about VAT and payroll? You’ll need to register for and start charging VAT as soon as the total value of everything you sell that isn’t VAT exempt, exceeds £83,000 in a 12 month period (current figure). VAT is a form of tax that is charged on things like: normal business transactions, commissions and goods that you loan or hire to customers. Detailed guidance on the VAT registration process and other examples of when you’ll need to register is available here. VAT registered businesses have to charge the VAT, but they may reclaim any VAT they paid on business related goods or services. If you’re taking on employees or relevant staff, you’ll need to find out how PAYE and payrolls work. There’s detailed guidance on HMRC’s website which you can access here. We’ll always talk you through any concerns or queries you have as well. It’s always advisable to take tax advice on your business from a reputable accountant. Helpful information is also available from HMRC by clicking here. Why did I choose this topic to blog on? I recently had to create a list of more than 100 of our most commonly asked legal and business questions (and answers) for a brilliant initiative that we are currently playing, called #TheGame. We thought it’ll be a fun way for team elXtr to give information to SME’s on legal and business issues that we advise on every day. I digress, the point I was getting at with the questions and answers is that I was made aware by Dawn Whiteley, the CEO of the National Enterprise Network, that a lot of people don’t think that they actually run a business if they are self-employed. I immediately added it as one of my questions on the board for #TheGame and if you have a few spare moments, why don’t you have a look at the other questions (and answers). Starting a new business is exciting and daunting in equal measure. We’ll ensure you hold on to your excitement by taking care of what might make you anxious. With our straightforward and non-intrusive guidance and recommendations, you’ll launch a business from the right legal structure to suit your ambitions, with the inbuilt flexibility that if you later want your business to evolve or change, this should be simple.